What is worth $110? Apparently 3 minute fudge. Our church held a pie/dessert auction on Sunday night to help support our community food bank. We raised $10,000 which is wonderful for all those families who are really struggling right now. At the last minute I decided I would contribute something. 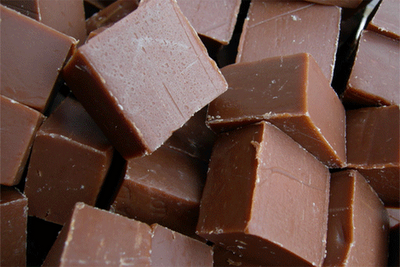 So I pulled up my 3 minute fudge recipe and made it. Amazingly it went for $110! The family was so sweet to let me taste it...(not that I didn't taste the crumbles when I cut it up) and it was gooood; like I'll make it again good. So if you haven't copied this recipe yet I want to direct you that way again. It would be a great treat to take to a holiday party. Click here for directions.